Released in 2015, Armaf’s Club de Nuit Intense Man has become a cult cologne in the fragrance community. Often compared to Creed Aventus, which retails at around $300, CDNIM is perceived as an exceptionally good affordable clone that can be bought for around $35 on Amazon. Download the Armaf CDNIM Fragrance Formula as a PDF. A relatively young fragrance house based in the United Arab Emirates, Armaf was founded in 2015. However, thanks to the success of its Club de Nuit range for men and women, it has since become a cherished brand in the fragrance community. Although some may not approve of its approach in cloning an existing and celebrating fragrance, it has since released many original creations. Furthermore, despite their rich heritage in fragrances, Arabic fragrances were always a niche market. Thanks to Armaf’s Club de Nuit, Arabic fragrances have gained more attention from the mass market and rendered them more mainstream. Nevertheless, that is not to undermine their long-standing influence that continues to play a strong role on designer fragrances today. Although Club de Nuit Intense Man may identify itself as a woody spicy fragrance, the overt fruit accord in the head and underlying ambergris base contradicts this. Therefore, while CDNIM is indeed a member of the woody family, it’s more of a Woody Fruity Musk. With an initial blast of lime rind, CDNIM fills the nose with fruity notes including a dark cassis and tart green apply aroma. Shortly after, we experience a herbaceous pineapple note that is strongly reminiscent of Creed Aventus. However, it’s not identical and the pineapple is less fruity and more leafy than expected. As the fruity head dries down, only the herby pineapple persists. We’re then revealed a mildly floral heart with overt notes of smokey birch. The birch wood and pineapple leaf work together to create an effectively alluring accord. The pineapple eventually subsides while the birch wood leaves only a smokey essence. Once the dry down reaches the base, earthy patchouli and gourmand vanilla interact over an ambergris base, which evocative of pipe tobacco. While still effective, the base is probably the most synthetic aspect of this fragrance after the head’s initial burst. Bringing the nose close to the skin reveals a slightly fatty note that’s strongly reminiscent of aldehydes from the early 1990s. CDNIM’s dry-down is relatively classic and the scent features three distinctive phases of evolution. That said, transitional notes and accords are present to add a dynamic aspect to the dry-down. However, CDNIM’s most impressive facet is the performance. Care must be taken in applying this fragrance as it’s easy to overdo it. It’s much stronger than the majority of mainstream fragrances. Fortunately, this will calm down after a few hours. Nevertheless, the performance is exceptional with a strong projection and tantalising sillage. Furthermore, the longevity is excellent and will easily last throughout the day without the need of travel atomisers. Club de Nuit Intense Man is probably one of the most controversial fragrances currently on the market. If you ever stumble on fragrance groups on forums or Facebook, you’ll see probably a dozen posts on the subject every day. Funnily enough, the debate has no signs of dying down any time soon and the “Creed Aventus Vs Club de Nuit Intense” dispute wages on. If there is a consensus, it would likely be that CDNIM is an excellent fragrance but not true substitute for the original. However, there are those that insist that it is just as good if not better thanks to the much more accessible price point. Beyond these niche groups, the fragrance is particularly effective with the general public. In the short time I wore it for this review, I already received a few compliments when on daily errands. Meanwhile, those consulted it generally seemed to genuinely like it. However, there were some people who saw through the otherwise intuitive composition and found it to be rather synthetic. If there is a demographic with which it is particularly popular, it seems to be younger men and women from their late teens to early twenties. Once again, CDNIM will be compared to Creed Aventus. And rightly so, given that it’s a clone of the original after all! While Aventus is a very elegant fragrance that can be effectively worn for just about any occasion, CDNIM is a more affordable option. 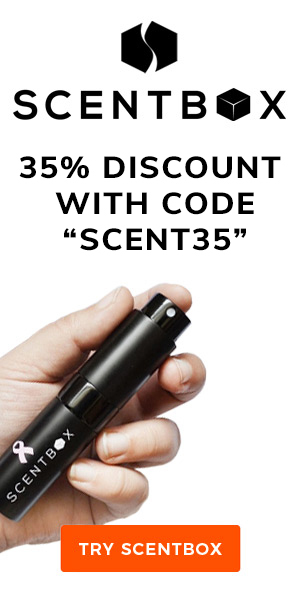 This can actually be detected with its scent, which isn’t quite as refined as Aventus. Therefore, this is something that’s much more appropriate for casual wear. In fact, it would be an ideal alternative for those who wear Aventus as a signature fragrance but wish to save it for special occasions. 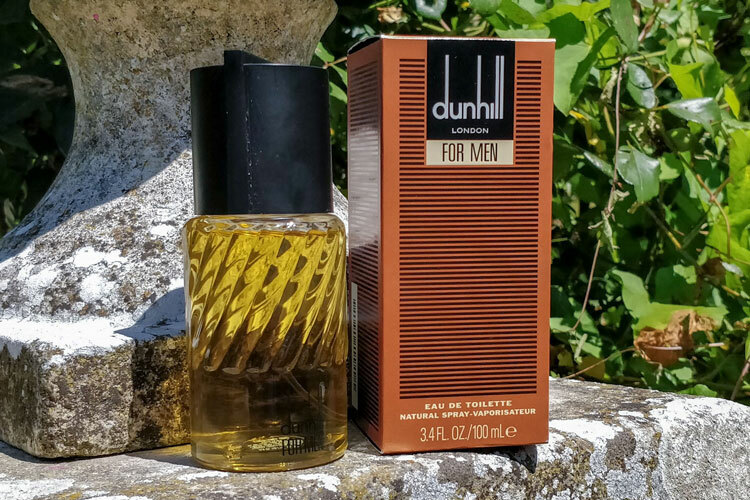 In terms of seasonality, CDNIM is a decidedly summer fragrance that can also be worn during the late spring and early fall. With regards to the time of day, this is something that is quite versatile in this regard. For instance, it would be perfectly fine and quite fitting during a hot, sunny day. However, it would be at its most effective during a balmy summer’s night. Finally, this is a fragrance best suited to men in their twenties. That said, it’s perfectly wearable for gentlemen who are either younger or older too. As for its masculinity, it does have a decidedly virile aspect but is more moderate thanks to the fruity notes. While I do have a fondness for what’s inside, I confess that I’m not fond of the flacon itself. The black glass and understated lowercase text is perfectly fine. However, the medallion and jewelled cap are particularly garish. The cap is reminiscent of a cheap diamond-studded dice and lacks the elegance and sophistication that could have been obtain with something more subtle. As for the packaging, you can tell that it’s an affordable fragrance due to the thin, textile cardboard and round sticker that represents the bottle’s medallion. Similarly, I had a few mishaps with the atomiser that seemed to have twisted inside its cover. This caused it to squirt inside itself and cause the fragrance to get all over my hands. However, when I managed to fix it, it did work fine, with a thick and misty pump. However, none of these undermine the final value for money, which is quite frankly extraordinary. Armaf has created a fragrance that mirrors Aventus beautifully while only being sold for just over 10% of the original’s price. While it isn’t quite as refined, it’s still an excellent scent and one that I will be happy to use on a regular basis. I picked up a bottle of the French-made version for 38€ ($45). However, I’ve seen in on Amazon for between $35 and $45 so the price may vary due to availability. Is this perhaps a cautionary tale for Creed or should it be seen as flattery? Indeed, Creed Aventus is currently seen as one of the best fragrances for men that you can buy. As such, should they feel threatened by these much cheaper colognes? Perhaps not as none of the clones on the market are quite as refined. Nevertheless, CDNIM certainly gives it a good run for its money. While I know that BU founder Paul Anthony is very fond of Aventus and has consumed several bottles, I’m perfectly satisfied with CDNIM as a more frugal option. Reviewed by Charles-Philippe, on 21st September 2018 . "A contemporary and refreshing yet affordable fragrance. One of the best affordable fragrances that we have yet to try, CDNIM gives Aventus a good run for its money by offering a similar experience for a much lower price." I’m a big fan of the “original”, so looking forward to trying this one soon…. Yeah, I’d very much like to see your reaction to it! Ah, I’ve heard much about this one. So you’re saying that it’s worth it? Would you consider it a blind buy? CDNIM is definitely a blind buy. Given that it’s so inexpensive and is almost universally enjoyed, I don’t think you’d be taking many risks. I recently got my little brother hooked on cologne. Growing up, he always made fun of me for having so many. Now, some 15 years later he is asking me “what do you wear?” and is buying 1-2 bottles a year. I share with him my sample of Creed Aventus and it went over very well with him. He did some researching and came across CDNIM. he was pretty amped to share something with me for once and as a gift, he picked me up a bottle too. I’ll be stepping away from My Gucci and Chanel to wear this more often. I believed it’s a great cologne and wears just as well as Creed does. That’s a great story and thank you for sharing it. Yeah, CDNIM is certainly impressive- especially for the money! Have you tried L’Aventure by Al Haramain? Wondering how this compares as far as Creed clones go. You must be the third or fourth person to ask me! Unfortunately, I haven’t yet had the pleasure of sampling it but a lot of people prefer it.